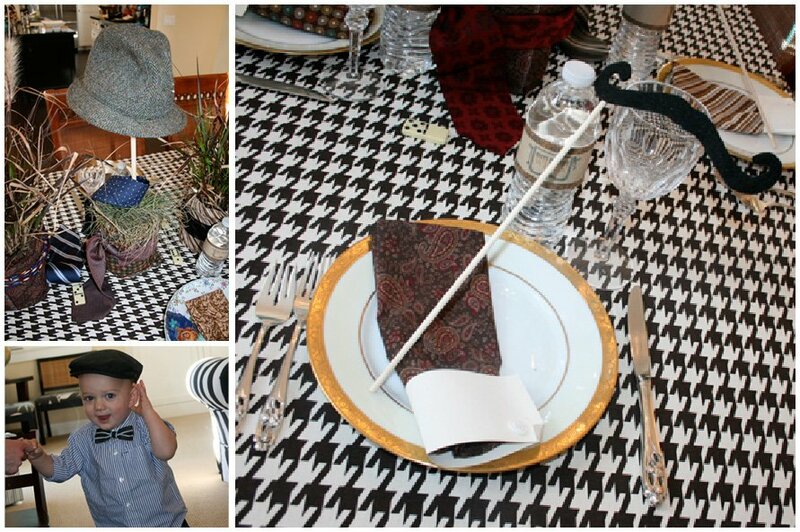 We love new and unique party trends on Pizzazzerie and this Little Man Birthday Party is right down our alley! A popular new party theme, the “Little Man” birthday party features lots of ties, mustaches, and all things boy! 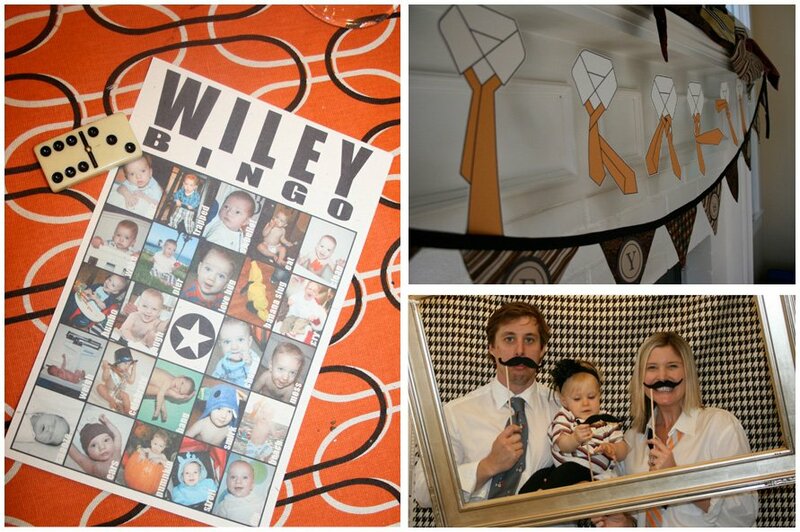 Sent in by Annika of Cakes Like a Party, little Wiley celebrated in style for his 1st birthday! Annika’s invitations really WOW’d us! 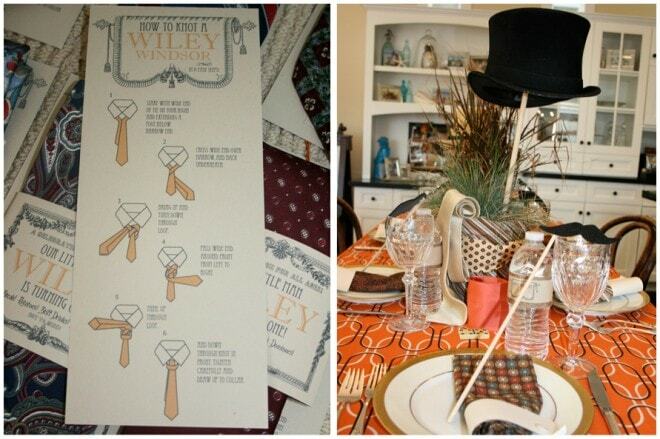 Invitations that go beyond paper to include a creative element really set the mood for a fun party! 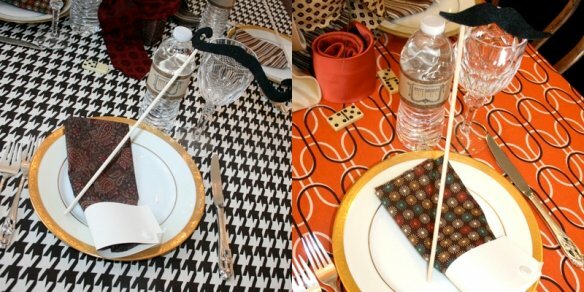 She found “vintage” ties for just a $1 at local thrift shops and simply wrapped a paper band around them with all the party info! Our Little Man Wiley is Turning One! Steak! Potatoes! Stiff Drinks! Dominoes! And you must check Annika’s cute tie which she purchased from this Etsy Shop! See the tie skirt & more pics from Annika’s blog here! What an adorable party! 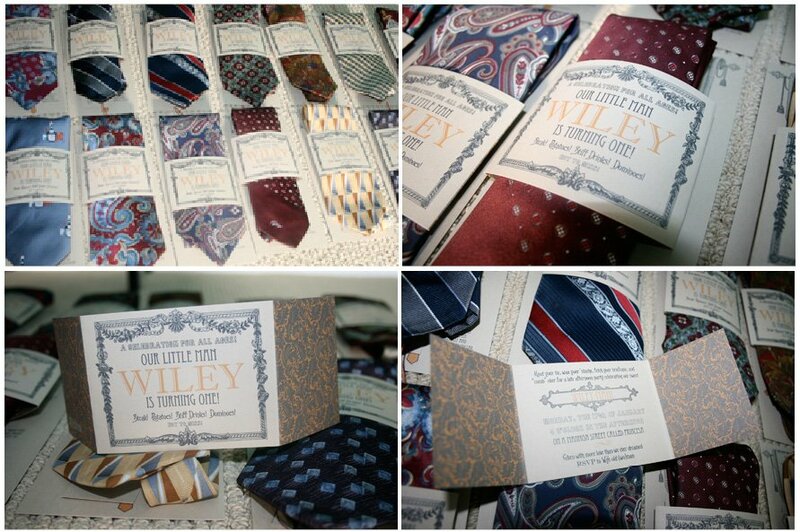 I love all the little ties, and the Wiley Bingo is fantastic! This is so freaking cute!! OMG I’m loving the ties! I love this! I love seeing more and more boy birthday party ideas, there just is not enough of them. Love the thrift store tie invites! Well done! Yahoo! So excited to be featured on one of my favorite blogs! Thank you for loving this party as much as I did! This is such an adorable party! 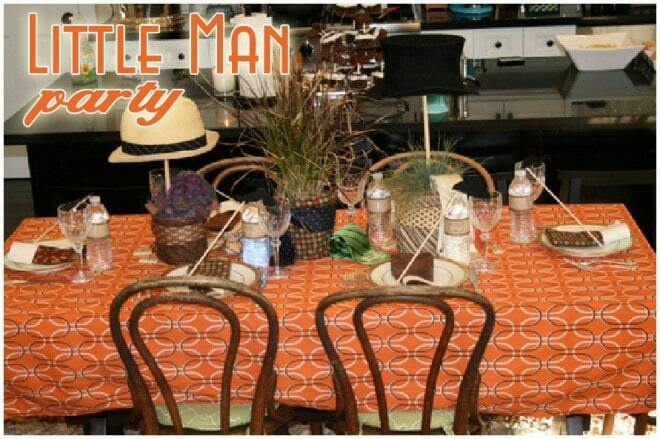 I heart Little Man parties and love seeing different takes on the theme. Thanks for sharing! So creative! This is such a great party – love the Wiley windsor sign. Oh My Gosh!! So adorable and creative!!! 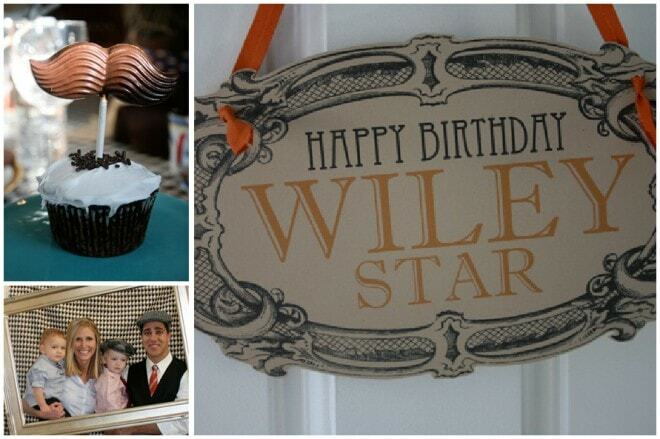 I love it and will have to add this to the list of future birthday party ideas for my Little Man!! i LOVE this party! too creative!